Carnival just wouldn’t be Carnival without music! This is well known in Venice, Rio de Janeiro and Santa Cruz de Tenerife, and of course in Kraków. And so it’s no wonder that on 15 February, the ICE Kraków Congress Centre resounds with a truly Carnival concert. 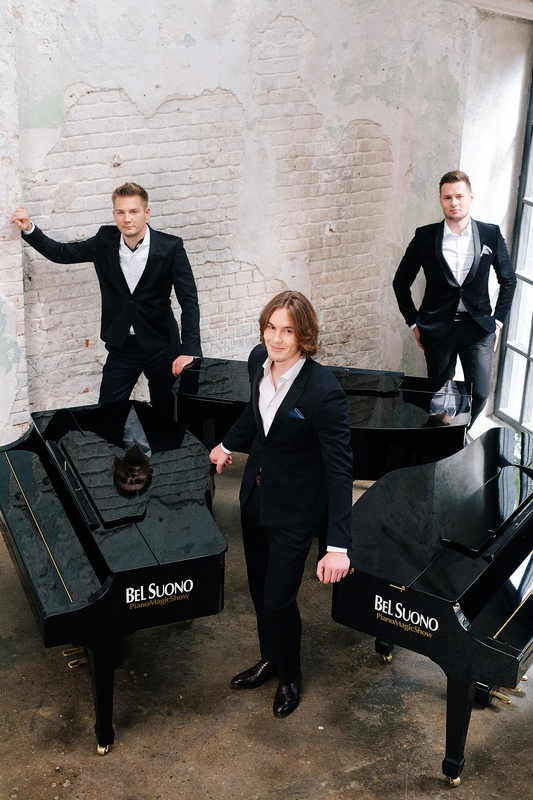 We will hear Bel Suono – three Russian pianists making their first ever appearance in Poland. The musicians from Moscow are known for their electrifying performances featuring classical pieces such as Maurice Ravel’s Boléro, Antonio Vivaldi’s The Four Seasons and Johannes Brahms’ Hungarian Dances, intertwined with a contemporary repertoire. We will hear excerpts from the soundtrack from The Game of Thrones and recent hits which broke all YouTube records, including Luis Fonsi’s Despacito – here adapter for three pianos. The musicians are accompanied by a string orchestra and rhythm section. The unique blend of different styles and genres is likely to surprise plenty of music fans – and it’s bound to put us in a perfect Carnival mood! Staff at the new InfoKraków tourist information centre are fluent in many languages. They are on hand to provide advice on events in the city and the best attractions in Małopolska, and where to find accommodation to suit all budgets. Both tourists and locals can buy tickets for cultural events, find out about the best concerts, exhibitions and attractions for kids, and pick up free promotional materials including the “Karnet” monthly presenting the best of Kraków’s culture. ICE Kraków Congress Centre is an important location, and staff members at the information point located in the state-of-the-art venue for business and cultural events, are also knowledgeable about the Centre itself and its events. You can get more information about opening hours of InfoKraków Ice Kraków information point on the website of ICE Kraków Congress Centre.